14-month-old toddler fat shamed by online trolls. A proud mum shared a photo of her daughter online. The response was sickening. It’s horrible to think even tiny toddlers are assigned unrealistic body standards, but this nasty case of online bullying proves it’s a sad reality. 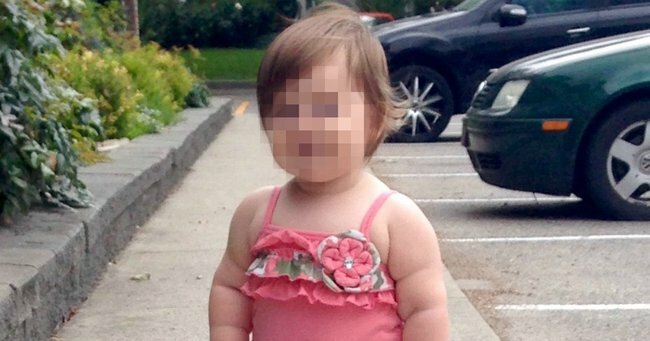 A distressed mother has described how she and her partner proudly shared an image of their daughter, only for the 14-month-old to end up cruelly labelled ‘fat’. On Reddit’s BeyondTheBump page, the mum explained they meant to only post the image on web forum Daddit before they also accidentally published to picture site Imgur. But they never expected to draw vicious hate from commenters. “Two people said she was unhealthily overweight and that we should take better care of her. My 14 month old. Who is perfectly healthy and thriving at a normal weight,” she wrote on Reddit, hitting back at the trolls. Fellow users were quick to voice their support for the hurt parents. Omg those rolls ???????????? she is a perfect little angel baby! Dear God.....what is wrong with people?! She is beautiful. Others who have also borne the brunt of senseless online backlash urged the parents to ignore it. People sometimes just want to upset you. Your baby is fine. Reddit and imgur are a bag of dicks.